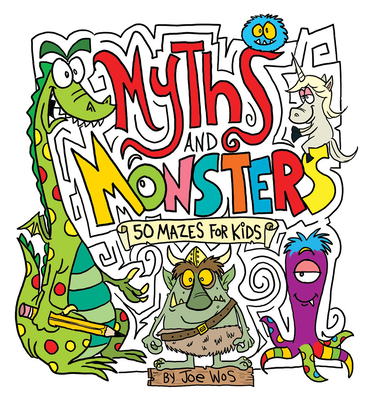 Discover 50 colorfully illustrated mazes with fully solvable characters, cartoon elements, and imaginative creatures along every start-to-finish path. Themed, integrated illustrations--set within the mazes--are fun, playful, and perfect for big kids and grown-ups too. Besides navigating the usual twists and turns of a traditional maze, puzzle-solvers will have to navigate through crazy cartoon features, Bigfoot's giant feet, the Cyclops' eye, a kraken's wiggly tentacles, and more. There are dozens of dead ends, illusions, twists, and turns that ramp up with each difficulty level. Open the pages and get lost in this mythical world that's scary good fun.